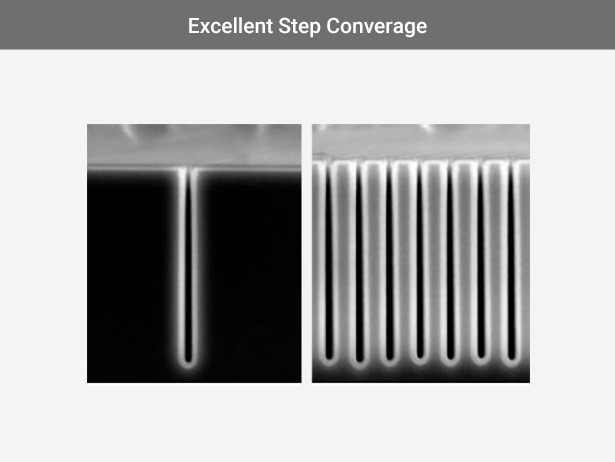 KOKUSAI ELECTRIC is proud to introduce a novel, next generation deposition technique, Balance Controlled Deposition (BCD®). The BCD® technique provides lower temperature processing and tighter process control for advanced small geometry devices while maintaining very high productivity, which can benefit a wide range of users and process applications. *BCD is a registered trademark of KOKUSAI ELECTRIC CORPORATION in Japan.